Bad snowpack structure (numerous extreme variations of snowpack hardness, snow-covered surface frost). One of the general conditions to be noted during and after a snowfall is the temperature. Col, warm air, and sunshine have a huge influence on the processes of change in the snowpack and hence also on the avalanche risk. Wind is the ultimate architect of avalanches. Just small amounts of snow combined with strong wind can lead to a critical avalanche situation. 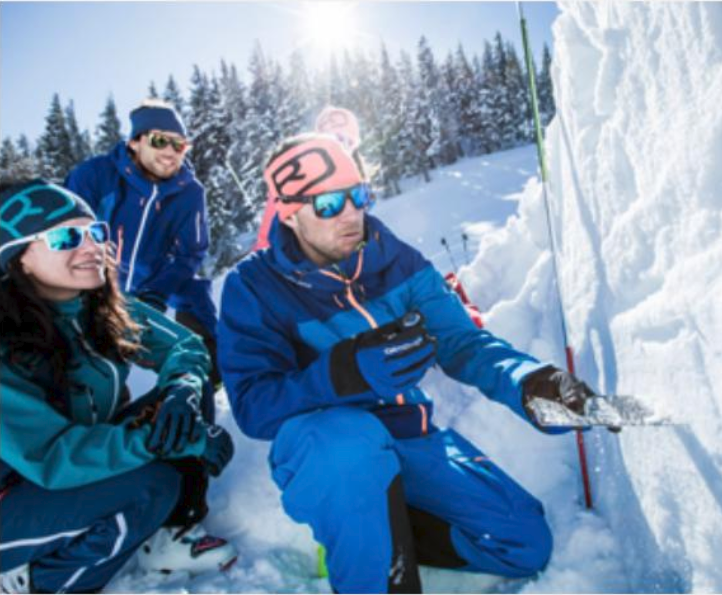 In the mountains, you should avoid freshly formed gullies, troughs and bowls, as snowdrifts accumulate there. Just as dangerous are the lee areas behind ridges, as well as the cornices above them that are in danger of taking off. 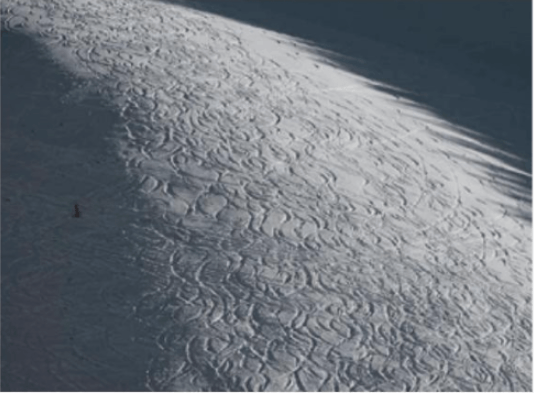 Terrain shapes influence the formation of avalanches because they have a crucial influence on the wind direction and speed and hence also on the extent of snow fractures. 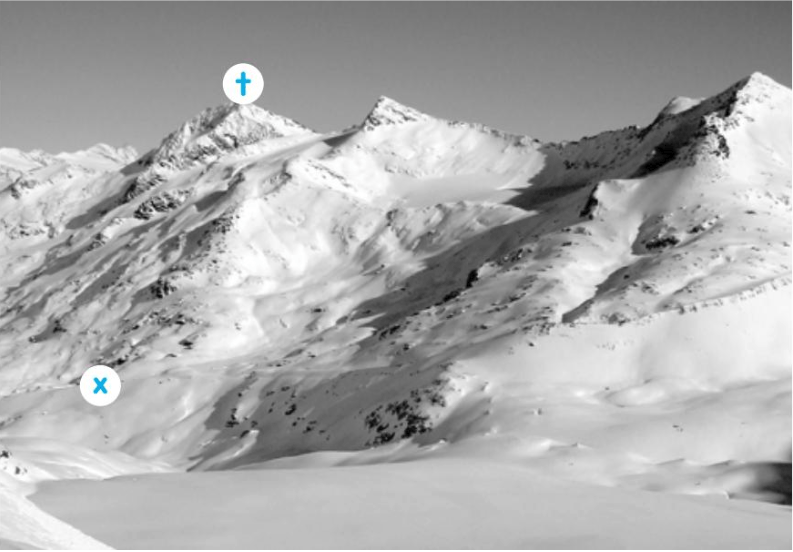 Trace a route on the terrain picture that presents the lowest avalanche risk for you and your fellow skier. Ribs, as the snow is often blown off them and snowdrifts hardly accumulate there. Broad Ridges, as the wind hardly ever allows snowdrifts to form here either. Humps, as they support the snowpack by means of small slope shapes. 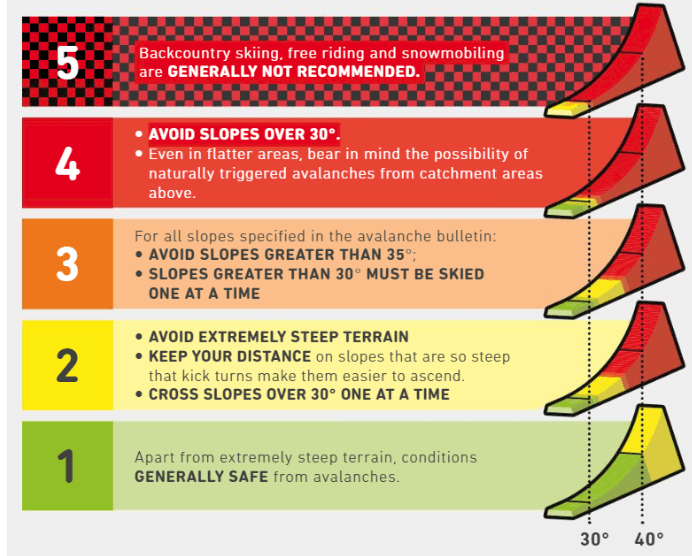 Steep Slopes staying away from riskier avalanche-prone areas by maintaining appropriately safe distances. Bowls & Gullies, since these are areas where snowdrifts can often accumulate. Cornices, because the can break off unexpectedly at any time. On the leeward side, underneath the cornice, one often finds accumulations of dangerous snowdrifts. 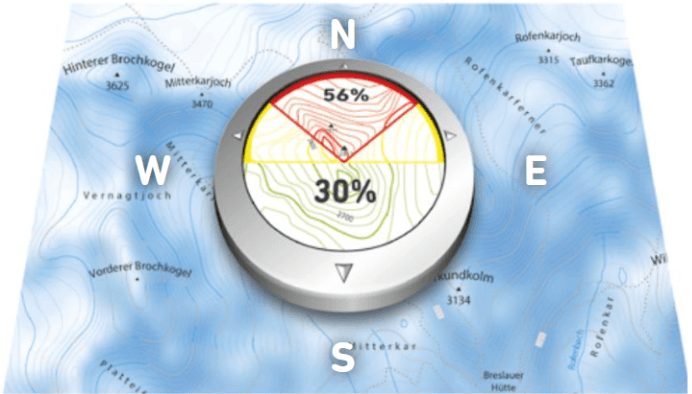 70% of all avalanche accidents happen on north-facing slopes (W to E) and 56% in the pure north sector (NW to NE). The reason for the frequency of accidents on these aspects is that the snowpack sets more slowly due to the low amounts of sunshine. Powder, but also the danger, therefore remains in the place longer. In winter, south–facing slopes often have a more stable snowpack structure due to their prolonged exposure to sunlight. 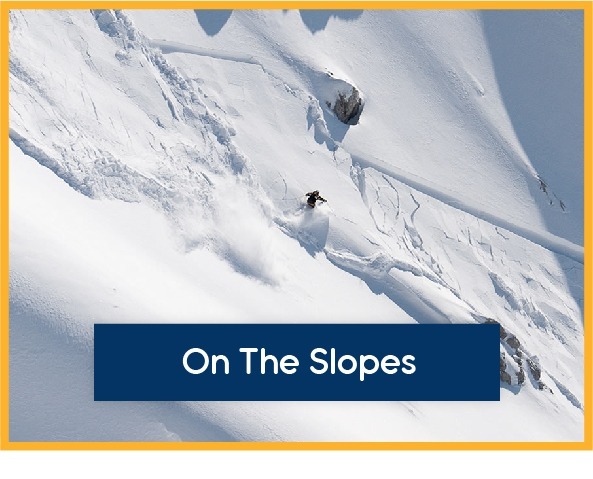 In spring, please note that the avalanche risk increases earlier on in the day for south-facing slopes than north-facing slopes. Still, 30% of all avalanches go off on a southern aspect (SE to S to SW). 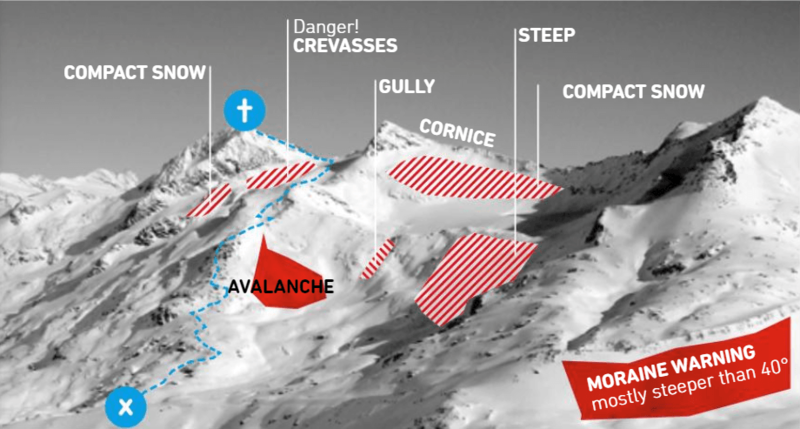 However, a critical avalanche situation often relates to all aspects! 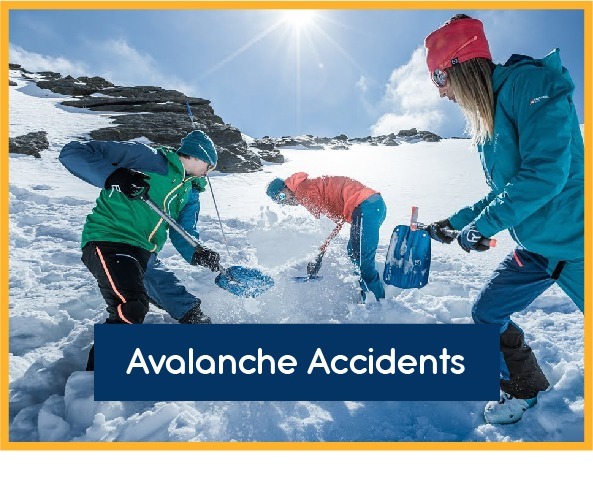 Around 97% of all avalanche accident happen on slopes with an inclination of over 30% (designated in the avalanche report as steep slopes). When determining the steepness of a slope, the steepest part of a slope that measures at least 20 x 20m (65 x 65 ft) is looked at. 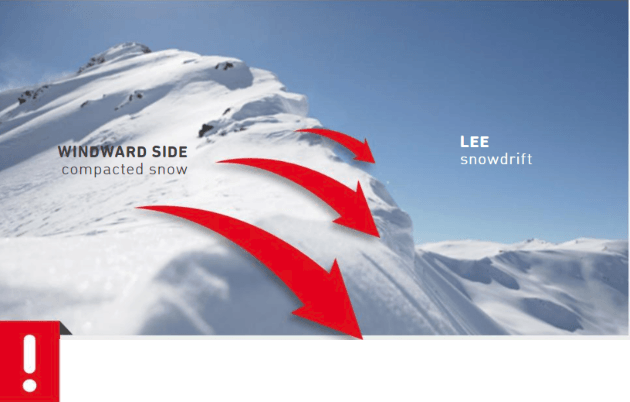 In slab avalanche, regardless of the danger level, the average slope (~38°) of avalanches causing accidents is the same. A slab avalanche can be triggered when there is a weak layer in the snowpack. Take a look at the snowpack. 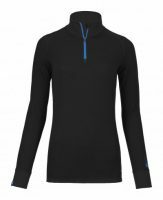 A thick and uniform snowpack with few variations in hardness is ideal. A number of crossings. Heavily used slopes over the whole area before the last snowfall can reduce sliding layers and hence ensure greater stability. 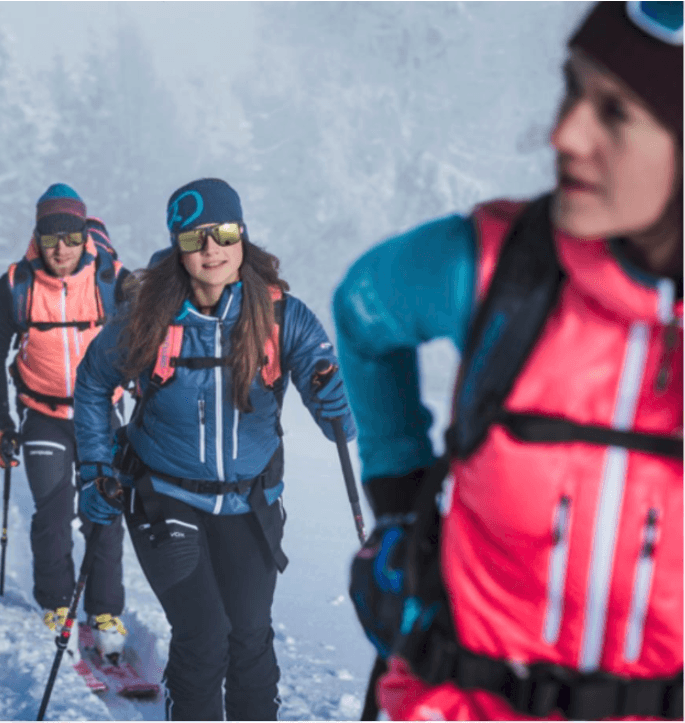 Humans represent the most important avalanche factor in recognising and avoiding the risk of an avalanche. Experience, knowledge, personal ability and appropriate behaviour are contributing factors for a safe tour. 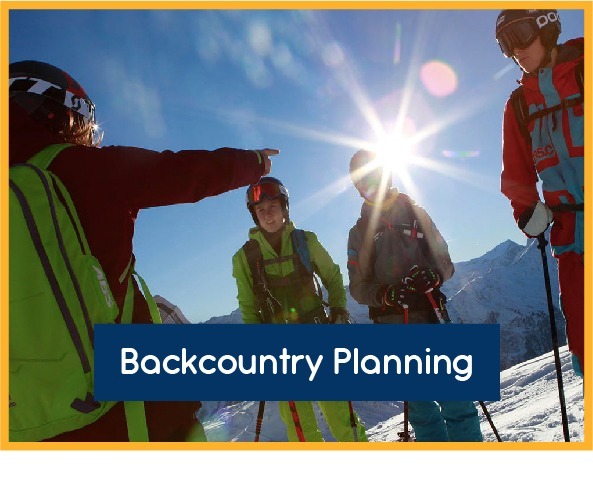 That is why conscientious route planning, attentive observation and risk-conscious decision-making are an essential part of any off-piste activity.